A perfect blend of inspiration and creativity, the EMX is an all new range of high pressure inflatable tents, marquees, gazebos, arches and shelters from Extreme Marquees that are sure to turn heads at any event. Our advanced technology means the new EMX inflatable tent series is light, compact, fast to set up and importantly, strong and sturdy in its design. The EMX inflatable marquee range features a symmetrical and streamed lined design and makes it one of the most elegant promotional inflatable shelters in Australia. Highlighting the high-quality fabrics, meticulous craftsmanship and detailed design elements, the EMX series provides the perfect branded solution or inflatable gazebo for your next event. The strength of this inflatable shelter comes from an internal tube, encased in a special lightweight and advanced webbed fabric that enables an exceptionally high internal pressure to be achieved. This high pressure means great strength and rigidity can be achieved resulting in a very stable structure in adverse weather conditions. The EMX range of inflatable tents are available in a variety of custom inflatable shapes, from our classic EMF inflatable marquee through to our striking Omega inflatable marquee. All our inflatable marquees can be custom printed to match your brand or message with a wide variety of fabric colours. The EMF 3x3m inflatable marquee is a lightweight, high-pressure inflatable shelter that can easily fit into the boot of the smallest car. Set-up is fast and easy – simply roll it out and inflate! The roof of this compact inflatable marquee can also remain attached to the frame for even faster set-up. The legs have additional valves so that water can be added to provide ballast and stability when used outdoors. The EMF inflatable tent, like all our custom inflatable shelters, can be custom printed with a range of options. The Alpha is a lightweight, high-pressure inflatable tent with an elegant and striking design. This inflatable shelter is available in a variety of sizes from our compact 3x3m to a massive 6x6m. Setup is quick and easy, and the roof is attached to the inflatable tent frame for an even more convenient setup. An optional inflatable tent awning can also be added to one or all sides. The legs have additional valves so water can be added to provide ballast / counterweight when used outdoors for events or promotions. The Beta is our mid-sized lightweight, high-pressure inflatable marquee. Ideal for the professional event exhibitor this inflatable can easily fit into the boot of the smallest car. The design is as elegant as it is striking. Set-up is fast and easy. Simply roll it out and inflate. The roof can remain attached to the frame for even faster set-up. An optional inflatable awning can also be added to one or all sides. 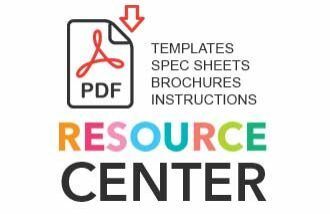 Side panels are also available and can be plain or fully custom printed. The legs have additional valves so that water can be added to provide ballast when used outdoors. The Delta is a unique inflatable dome shelter with winged legs for even greater surface area. The roof of the frame also features a stylish shape for some extra flair at your next exhibition or outdoor event and can remain attached for an even quicker setup. Covering an area of 4x6m, this is a unique outdoor inflatable shelter that’s sure to turn heads. The Delta inflatable dome marquee can be custom printed in a variety of frame and fabric colours and can be customised further with inflatable awnings for even greater shade. The legs of this inflatable dome frame also feature water valves to provide extra stability in stronger winds. 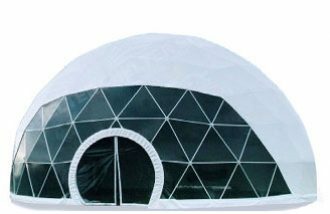 The Gamma inflatable dome tent is a stand-out high pressure shelter with a unique design featuring multiple legs for an open and welcoming outdoor space. The curved design provides strength and stability and be furthered by the optional water valves in the frame legs. Covering a massive 8x8m surface area, the Gamma inflatable dome is perfect for outdoor events and exhibitions. The Omega-7 is one of the most unique inflatable marquee products in the EMX range, featuring a sleek design with both curve and structure. Spanning a massive 7x7m area, the spectacular design of the Omega inflatable marquee is both eye-catching and functional. Setup is super easy – simply roll out the structure and inflate! To further enhance the design of the Omega-7 inflatable marquee, Extreme Marquees also offers a range of custom printing options featuring a variety of frame and fabric colours.